Alongside the bespoke care and attention we give to our girls is the excellent communication we have with parents. Staff are available for a chat before and after school in person, via appointment or by phone or email. The girls bring home their communication/reading diaries everyday in which messages can be written both from school and home. We also have regular parent meetings and curriculum evenings. In addition, we use the Tapestry Online Learning Journey for all year groups which allows us to keep a record of every pupil at key points in her learning. All children have a personal online learning journey which records photos, observations and comments, to build up a record of your child’s experiences during their time with us. We use Tapestry, a system which is hosted in the UK on secure servers and is available as an app which you can download. You will have secure access to your child’s Learning Journey and, in addition to viewing our contributions, we encourage you to add to it by uploading photos and comments, or commenting on observations made by us. 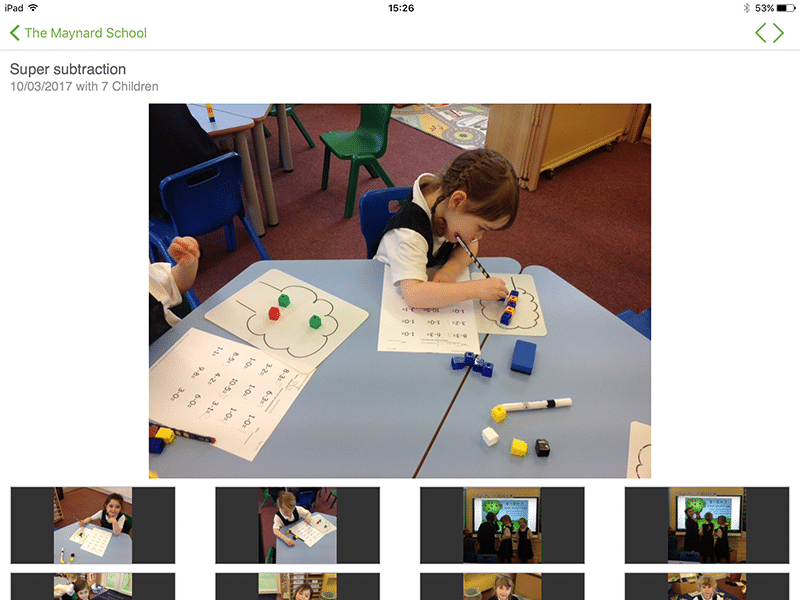 We send out a daily update with pictures of what each child has done that day. 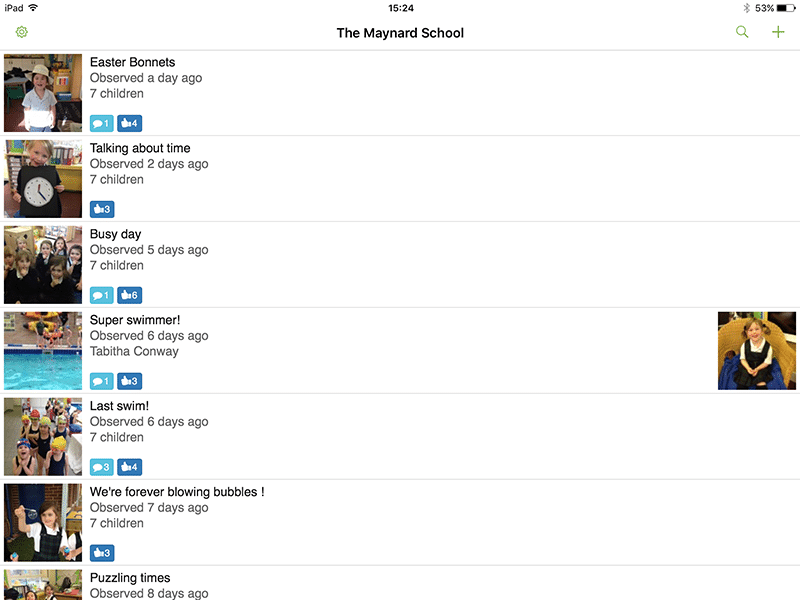 Parents as well as teachers can comment on their progress. For many of our parents it is a highlight of their day! Below is an example of what a parent can see on their Tapestry App. Your child’s observations can be seen on your home screen in a list, and selecting any one of these will open up the observation for you to look at and comment on. Some observations are shared with other parents, and others are individual to your child.